I still remember the buzz back in 2009 at the D23 Expo. There was a big announcement concerning Star Wars rumored, but what could it be? 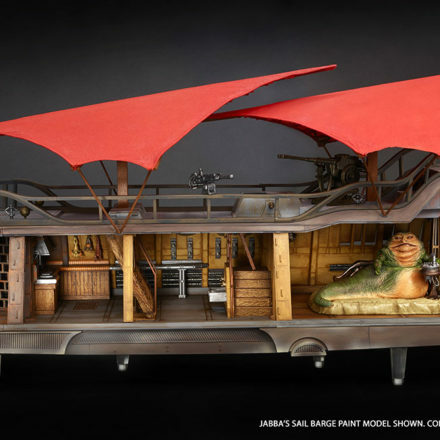 Would the Star Wars weekends come to the west coast, or was it some sort of new project? No, it was none of those. 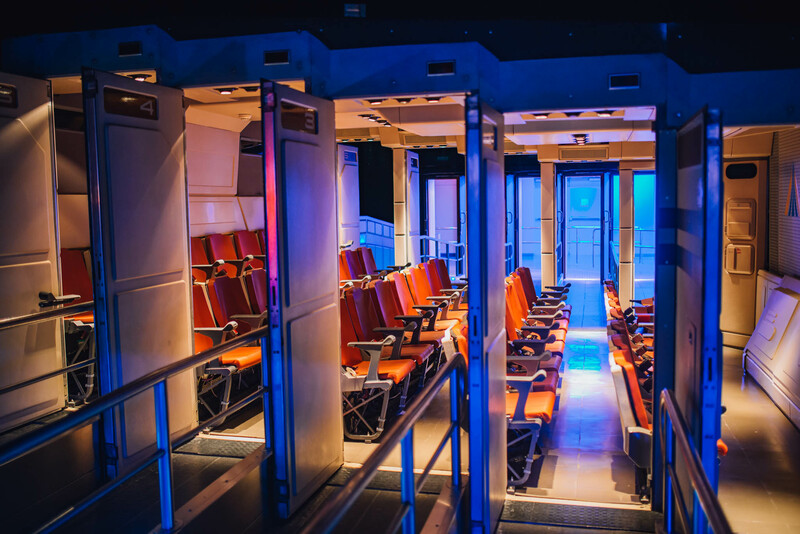 It was better: Star Tours would finally get a new ride film. 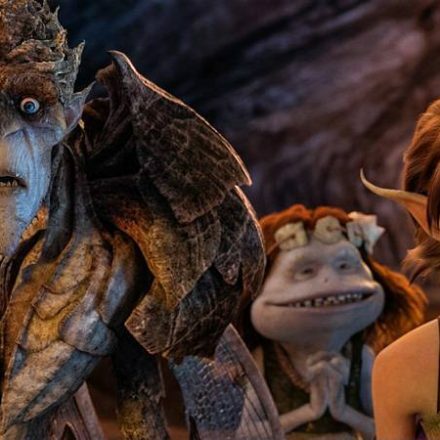 But not just a new film, a complete renovation. Gone was the feeling of the used galaxy of the eighties. Instead, a shiny new space port would replace our beloved rag-tag travel company. But you can’t stop change from happening, just as you can’t stop the sun from setting, Ani .. Oh wait, let’s not mention that. 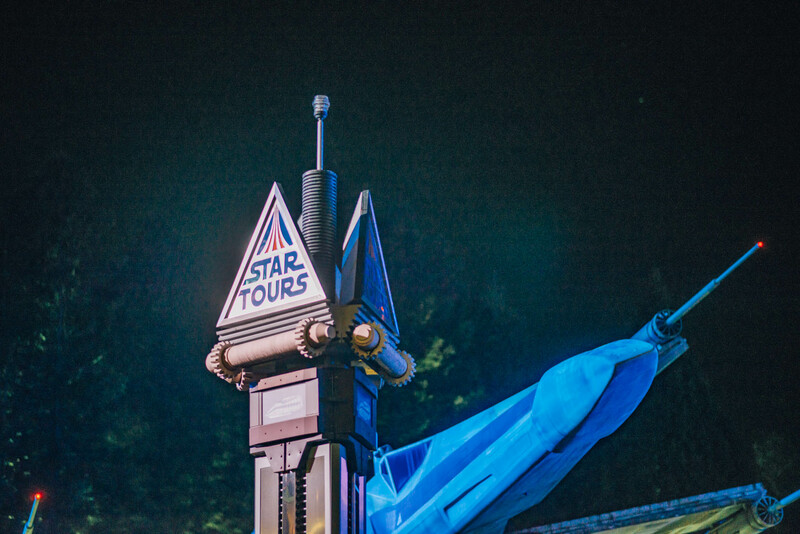 This night, we said goodbye to the last remaining version of the original Star Tours. Let that sink in for a moment. 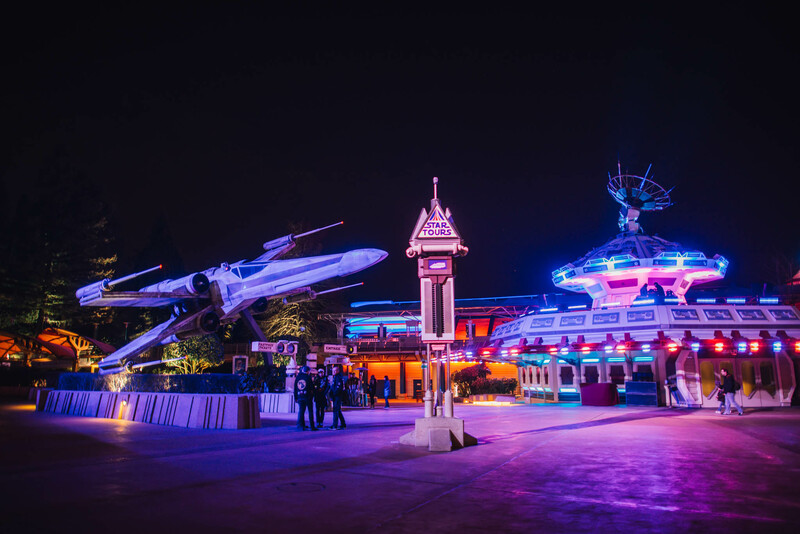 Opened in 1992 with the rest of Disneyland Paris, it was immediately a fan-favourite attraction. 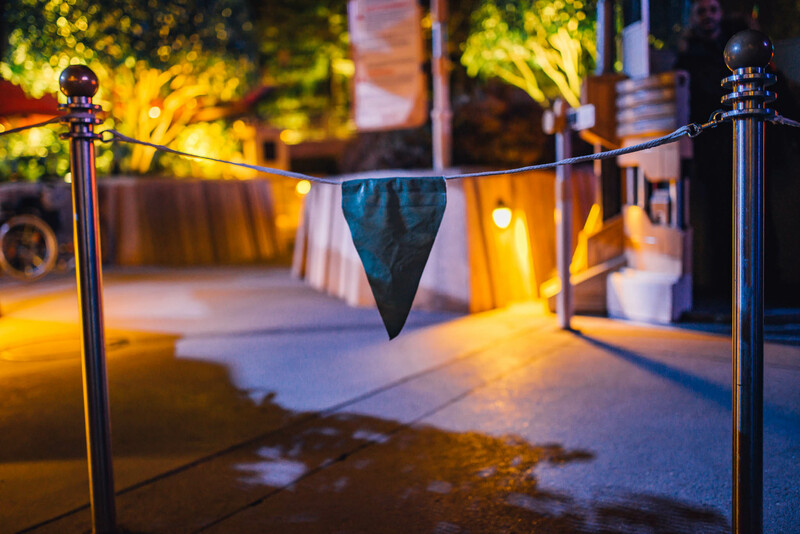 Unfortunately with the sometimes troubling financial state of the resort, refurbishment and regular maintenance seemed impossible. Effects often didn’t work or even disappeared, never to come back. Not even on the final day. 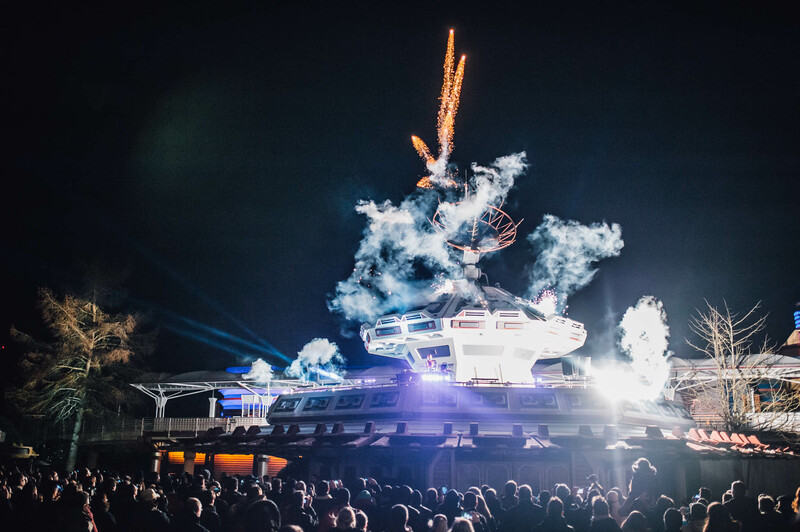 Around 800 guests including invitées, cast members and share holders joined in celebrating the final flights to the exotic moon of Endor. Come spend an afternoon, or entire day with the lovable ewoks in their charming tribal villages. After lining up for a badge, everyone was issued with a guide with a scratch field. 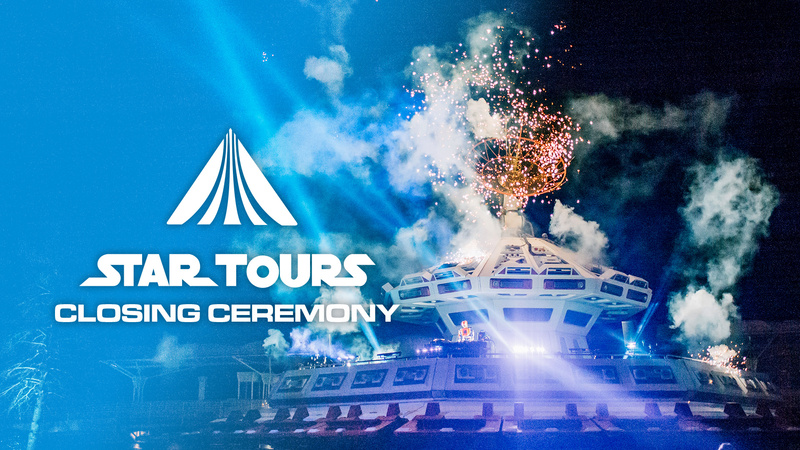 One out of five visitors could win a boarding pass for the very final flight to Endor. A privilege we unfortunately didn’t get. But before closing, Imagineer Laurent Cayuela took us back through history of how Star Tours came to be. You can watch the entire panel soon by our friends at DedicatedToDLP. 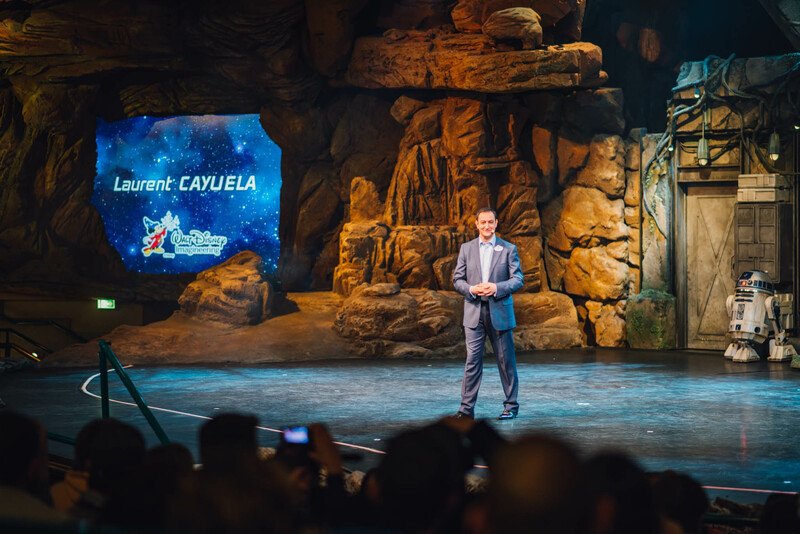 The Star Tours Presentation by Laurent Cayuela included guests like Luq Hamet. 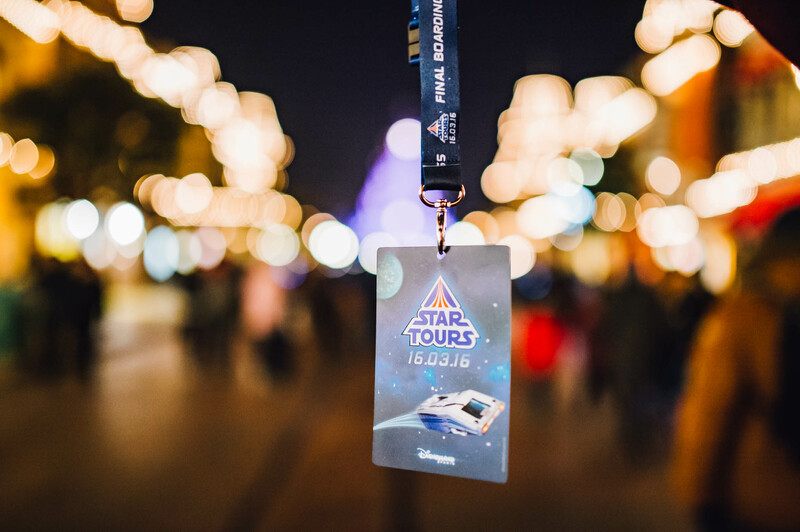 Since we’re more than familiar with the content of the panel, we headed down to Star Tours for a few more flights, with our final flight taking place just before the lucky winners. 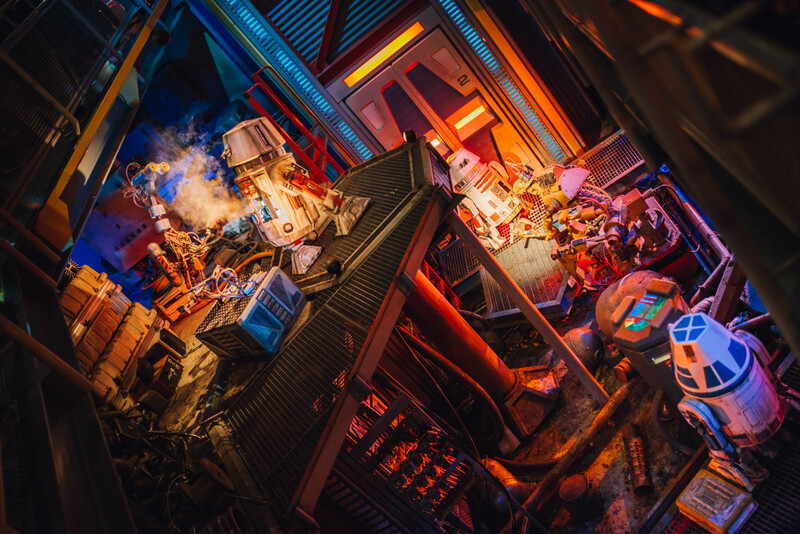 It was surreal, slowly walking through the hallways of the Maintenance Hangar and the Centre Droidnostics, knowing that it would be the last in this form. At last it was time to head to Gate 4 and board our final flight to Endor. 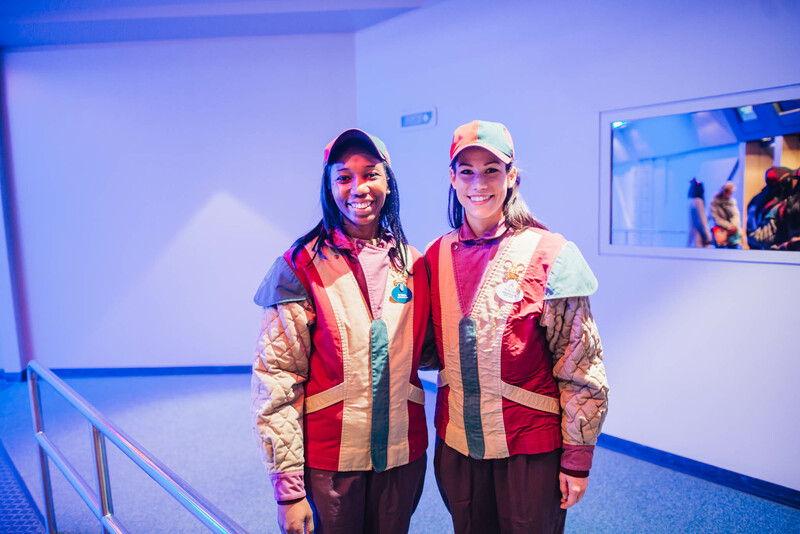 Disneyland Paris Ambassadors Sonia and Romina joined the event. The ride wasn’t the same, However, as the magicians from Spectacles (the Cast Members in charge of all shows in the park) had some tricks up their sleeves, with Captain Rex calling us through the PA with the french equivalent of “this is probably your last flight .. and it’s mine too .. heheh”. 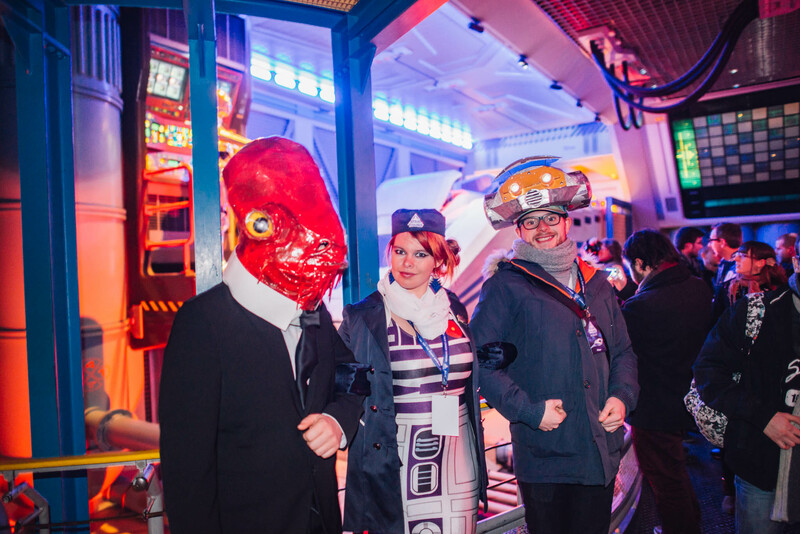 Boarding the Starspeeder, we took our time taking pictures, looking at details, and letting the moment settle before strapping in, as we let the good Captain take a wrong turn once more, onto an adventure of a lifetime. The experience was full of excitement that was definitely bittersweet. This view may have made us all a bit teary-eyed. Five minutes later, we where standing again in a hallway, having exited the attraction through those signature orange doors and John Williams‘ Throne Room score playing through that entire hallway. It felt like it was blasting extra loud just for us, but before we knew it, we were outside in the blistering cold of a March night in France. 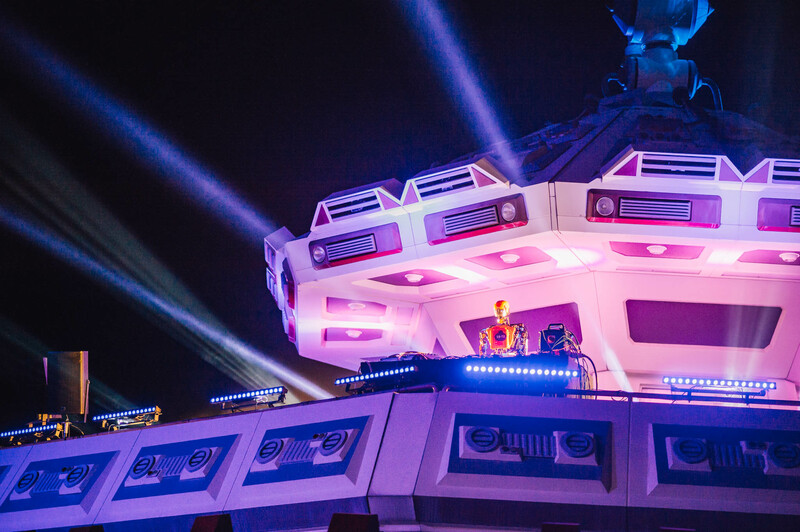 For the occasion, a brand new droid stood on top of the Star Traders building. The building that will soon be turned into a meet and greet area was already cleared out of any merchandise or furniture. 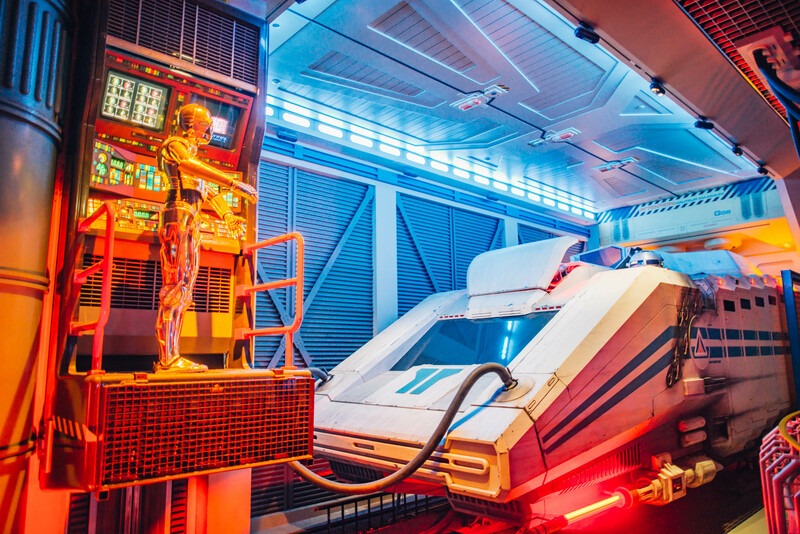 After a few announcements and pyrotechnic displays, Star Tours was shut down completely and we were led out through the Discovery Arcade next to Main Street. By now, green or blue fences will have been erected all over the Star Tours and Star Traders building in Discoveryland, and we look forward to seeing the tired attraction awaken once again. Great photography and reporting! Thank you!